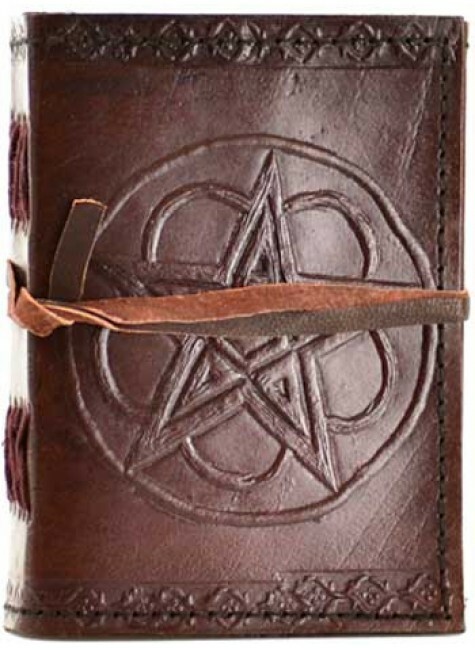 This hand made leather 3.5 x 5 inch journal has a leather cord closure and gorgeous tooled Pentacle. 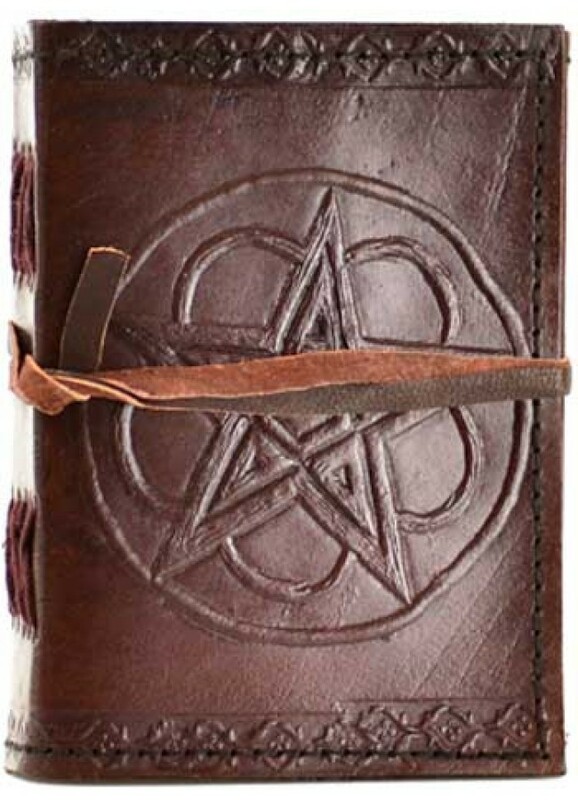 Hand tooled leather cover has leather cord closure with embossed pentacle and Celtic knotwork on both sides. Contains 240 pages of hand made cotton linen paper. 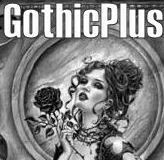 Measures about 3.5 x 5 inches - great pocket sized book you can use as a journal, sketchbook, spell book and more. Item Number: AA-BBBC361 | Approximate Size (Inches): 3.50 wide x 1.00 deep x 5.00 high | Approximate Shipping Weight: 1.00 lbs.